Two new wide-release films hit theaters this weekend and earned their place in the top box office chart. The Hitman’s Bodyguard took the top spot while Logan Lucky secured the third spot in its opening weekend. What did you watch this weekend? 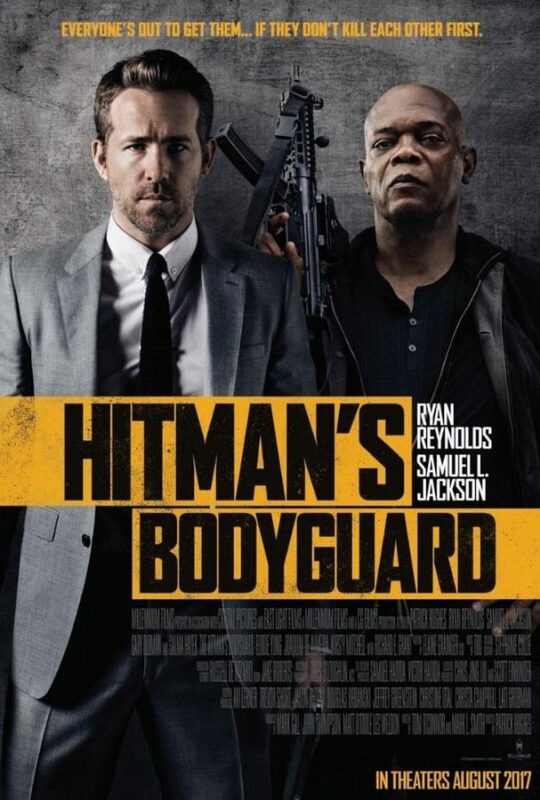 The Hitman’s Bodyguard starring Ryan Reynolds and Samuel L. Jackson won over audiences, earning $21.6 million at the domestic box office. Our audiences are enjoying the action comedy (not to mention eye candy Ryan Reynolds), giving it 4.2 out of 5 stars. Horror movie Annabelle: Creation was still a favorite among fans as the film dropped to the second spot in its second week, making an additional $15.5 million. Its current domestic gross is $64 million and our users have given it a 2.9 star rating. Logan Lucky, which follows down-on-their-luck brothers Jimmy (Channing Tatum) and Clyde (Adam Driver), made its box office debut in the third spot. It made $8.1 million and earned a rating of 3 stars. Nerve-racking WWII thriller Dunkirk from acclaimed director Christopher Nolan continued to win over audiences, grossing $6.7 million in its fifth week for a domestic total of over $165.5 million.